This fabulous recipe needs to be started a day ahead of time in the marinade. It's cooked on the grill using the indirect grilling method. 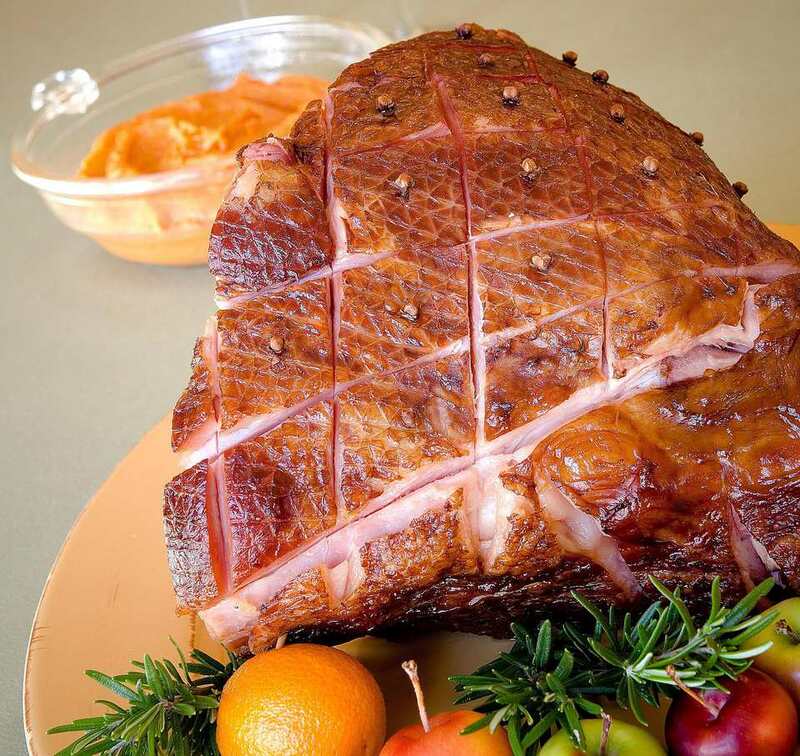 Ham cooked on the grill has even more wonderful smoky flavor than a smoked ham. You will most certainly have to add more coals during the cooking time to keep the heat at the proper temperature if you are using a charcoal grill. A chimney starter is best for this. A grill thermometer place in the grill (not a meat thermometer) is the best way to ensure that the temperature stays at the right place for food safety reasons. In large zipper lock food storage bag, combine 1 cup orange juice, 1/4 cup honey, pepper, ginger root, and oil and mix well. Score ham on top in a diamond pattern, making cuts about 1/4" deep. Place ham in bag along with marinade; seal and turn to coat. Refrigerate for 4-24 hours, turning occasionally. Prepare grill for indirect cooking; place drip pan in center and arrange coals around the edges of the drip pan. Heat coals until gray. Remove ham from marinade and place on grill over drip pan. Cover and grill for 1 hour 20 minutes, brushing with marinade several times during cooking. Turn ham over once halfway during cooking time. Discard any remaining marinade. In a small saucepan, combine 1/4 cup honey, apricot preserves, 2 tablespoons orange juice, Dijon mustard, and ground ginger. Bring to a boil and simmer over low heat for 5 minutes, stirring frequently. Brush this sauce on ham. Cover and grill for 8 minutes longer. Brush sauce on ham again, cover and grill for 8 minutes longer until ham is glazed.